Life is cyclical. 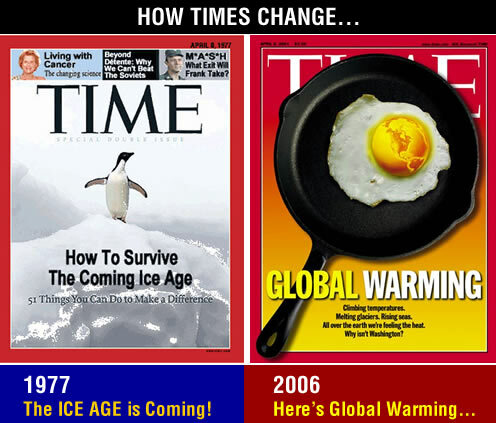 Back in 1977 the talk of the day was the coming Ice Age. Today, it’s global warming. Here’s another cycle: dry and sweet wines in America. But even as Gallo et al were enjoying their mass-market heyday, a winemaking subculture was growing exponentially and the value of California real estate was skyrocketing as well. During the ’70s and ’80s, California came into its own, and passionate, serious winemaking began to explode there. Next came a long period when Americans preferred big, buff, dry, inky Cabernet Sauvignons and big, buff, dry, buttery Chardonnays. Today, we are rediscovering the joys of Riesling and Moscato, as well as artfully made rosés, especially if they are somehow big and definitively red at the same time. Evan Dawson called it the Cycle of Riesling in his book, Summer in a Glass: “Riesling is the grape that is bringing worldwide recognition to the Finger Lakes, but it has a curious relationship with wine drinkers. A casual drinker tends to prefer sweeter wines—usually white—and Riesling fits the profile. But as they broaden their palate, a wine drinker tends to move to drier wines—choosing red more often—and they malign Riesling as a sugary wine for beginners. Only when they take the time to understand what gives wine potential for greatness do they come back to where they had started. It is the Cycle of Riesling.” It’s a great book, by the way—reads like a novel, you get attached to the characters, and it’s pretty darned informative as well. Moscato is experiencing a meteoric increase in popularity, with sales having doubled each year for the last few years, and is now among the top 10 most popular varietals bought in America. According to press reports, we have a whole new generation of entry-level wine buyers, and Moscato appeals to them—but quite frankly, it’s often a delicious wine at a great price, and even this fan of complex dry reds enjoys Moscato or Riesling frequently herself, especially in the summertime. Okay, back to our somewhat sweet wines of this week! Pale golden, condensation on the glass. Floral, salty aroma; honeysuckle and pear. Somewhat sweet, fruit-forward; still wine expanded in the mouth into a round, mouth-filling, medium-bodied, silky. Ginger ale, lychee, honey, banana, pear, lemon yogurt. Nice little finish on the mid-palate. A little more crisp/salt/mineral when cold, and warms up very nicely. Crisp yet soft; interesting! Dangerously drinkable. Quite delicious; as (almost) always, I enjoyed this by itself. I think Thai food and raw oysters would pair well. However, while just fine as a refreshing summer wine on the sweet side, this might very well work well in autumn; I sense it would be delicious served with ginger or pumpkin desserts. LABEL: Our Moscato, 50% Muscat of Alexandria, 27% Muscat Canelli, 20% Pinot Grigio, 3% Orange Muscat, is a regal blend of varietals hailing from the California coastline. A hint of sugar remains herein, wherefore this wine goes forth in balance admidst thy pallet [sic], in accordance with the truest expression of the Muscat varietal. Golden, condensation on the glass. Lemon, fig on the nose. Sweet, honey, herbal. Minerals as it opened. Surprisingly silky—because of an almost oily mouthfeel I suspected the addition of Viognier, but not so, this is 100% Riesling. Crisp acidity with lovely light fruits: peach, melon. LABEL: Our Riesling, 100% Riesling, is a luscious wine with aromas of papaya nectar, golden crisp apple and night blooming Jasmine—a wine not easily forgotten. Never follow the conventional path of wine, develop your own love and tastes. Be the Chess player, not the Chess piece. TECH NOTES: This Riesling was stainless steel fermented using several yeast strains including QA-23. This strain is known for preserving fruit and floral characters in the wines, and allowing varietal character to shine. The rich sweetness of this wine was created by arresting the fermentation before completion. Lake County, located just north of Napa, has been growing premium wines since the mid 19th century. This diverse appellation exhibits many soil types including sandy loam, serpentine; iron red volcanic soils; gray-weathered, cinder ash and silt blends; and deep alluvial soils located at the base of dormant volcano Mount Konocti. The Lake County growing climate is strongly influenced by Clear Lake, the largest natural lake in California. Warm days followed by very cool nighttime temperatures let grapes ripen at optimum rates for moderate sugars, while maintaining sufficient acidity. 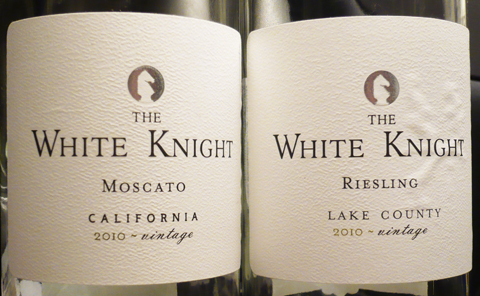 ABOUT THE WHITE KNIGHT BRAND: For the better half of a decade Chardonnay stood as the king of white wine. Strong, ubiquitous and all powerful. The time has come for its empire to fall. The White Knight represents this change. Through cunning, smarts, wit and style, The White Knight serves as the alternative to the tyranny of Chardonnay and for those looking to join the resistance. This entry was posted in California, Moscato/Muscat, News, Riesling. Bookmark the permalink.